Like any worthwhile endeavors, preparation is key to its success. Even the great former president Abraham Lincoln was a staunch advocate of this idea with the saying, “Give me six hours to chop down a tree and I will spend the first four sharpening the ax.” That’s more than half of the total allowable hours of work preparing and not doing the actual job itself. Of course, that was a statement that is meant not to be taken literally but rather figuratively. Meaning, any particular work is most accomplished when a lot of time is invested carefully preparing for its task. Whether you are to do physical work such as—taken literally—lumbering a tree with an axe or setting up a marketing plan for your business, having to prepare for it is first and foremost of critical importance. But not all plans are made alike. Some plans can only be just concepts and ideas but whose actual implementation is disastrous in the result. If you are part of a business, let alone its owner, you do not want that. Real effective plans have to be carefully designed and with one specific goal in mind: make it an integral element to the business’ success over time. Many may find starting out a marketing plan by listing out target goals to be unconventional—which it is—by doing so is crucial in laying out the next important steps in your schematics. You could take this initial step as laying out the guideline which has the power to alter where you marketing plan is headed. In a kind of business where your disposition is always not secure, it pays to know what the competition is like and how you can level your play with it via the so-called competitive analysis. Essentially, this is a “my business versus your business” outlook at things which necessitates the need to compare and contrast at how your business performs against others. The process of gauging your opponent versus your own is a true-to-label statement about “competition” and may require you to resort to spying your competitors for your business’ distinct advantage. But competition is not always just about looking at your competitors and highlighting their flaws, it is also about understanding the totality of your business on 4 elements: strength, weakness, opportunities, and threats via the SWOT Analysis. The SWOT Analysis is a realistic view of your business by identifying two polarities, namely strength and weakness, and opportunities and threats. The positive polarities, strength, and opportunities, are factors to look upon as good qualities for your business which you could either maintain or improve. Conversely, the negative polarities, weakness, and threats act as indicators to look after in order to either eradicate or, at least, improve upon. Lastly, do not neglect the fact that your target consumers have their own habits and interest in buying. Knowing the personality of your buyers and spending habits are very important in driving up sales for your business. When you already a clear grasp of the landscape of the business and the people that are integral in its ecology—the consumers—designing a strategy with these factors in mind is also important. This phase could include various steps such as solidifying the business’ brand, formulating a unique selling proposition, building the right network, establishing an effective platform, and producing contents as a hook to your target consumers. There is no one way of doing all this and how your strategy ultimate shapes depend on your business’ ecology and the elements that interplay in it. This part of the making of a marketing plan may seem simple enough to do, but in reality, the scope and the magnitude of this task are rather broad and intensive and could entail as many individuals or supporting strategies to one another. Having a business is more than just about counting the revenue versus the overall expenses. That may be one thing but is not the sole basis of a business’ success. You would also have to consider its performance in the market, too, as gauged by certain data it generates. To be able to do measurements, however, you would need a baseline to compare future key performance indicators (KPI) with. This might mean using pre-existing data before launching the strategy and then comparing it with future results. The variance in the collective data should signify whether the business is performing better or worse based on the set strategies for it. If the business did not perform better than the previous, then there is something wrong with the plan which necessitates a change in the strategy. If it went better, then it implies that a sound strategy is developed which you could either maintain or improve upon over time. This is how businesses grow. With many strategies and plans in the pool, it may be hard to implement on everything at once. Instead, pick 4 or 5 in the list and take them collectively as your overarching strategies along with their corresponding tactics for execution. Take the scenario this way: better have four or five standing goals as strong pillars to your plans than to erect six or more goals but lack the capacity to implement them. Or, they may be implemented, but may not produce the expected outcome because they are either insignificant or too weak to be a part of your overall goals to begin with. Take note that goals and tactics are not supposed to be taken interchangeably but rather one being a complement to another—they are mutually inclusive. You can never attain a goal without the right maneuver towards it and you can never have a tactic without a goal for it. Here you provide a title of your marketing plan (where you want to focus in your business), your department, your school, your course, name, and date (month and year). List the various chapters and sub-headings and the page number. Keep in mind that not everyone will read every page of your marketing plan. It’s an overview of your marketing plan, putting together the pertinent points in the various chapters of your plan. What is it in your situational analysis, weaknesses, and threats which you consider as the main concern of your business? Are you threatened by competition? What is your main goal why you need this marketing plan? Do you need to expand? Are you introducing a new product or brand? How will you get to your goal? Are you going to launch a campaign? This basically provides a preview of the strategies you want to use to achieve your objectives. Provide a brief history of your business and a description of your products or services. What does your brand stand for? How many years is your business in existence? Was there a high point or low point in your business history that is remarkable? Where is it now? What is your vision for your business 10 or more years from now? Do you want it to be big? Do you want it to be focused and known in its niche? Are you for expansion or do you want to be the leading brand in your industry? Example: Jollibee to be the leading fast food chain in the Philippines. Identify the main segment which can provide the highest sales to your business. They are the biggest bulk of your buyers/consumers/clientele. They are the primary target of your marketing plan. This can be geographic, sectoral, or demographic. When you look closely at your market you’ll find that your consumers fall into different groups or ‘segments’. Although all of your customers use your product or service they will value different aspects of it such as price, design, or ease of access. You can segment your market by customers that have shared values. For example, if you were selling electronic calculators your market could be segmented by how consumers use it eg: scientific, office, student, and general use. Each of these segments will have different requirements and may vary in price they are willing to pay. By understanding the needs of the segment you can tailor your marketing mix to deliver what your customer values. Each segment will offer growth and profit opportunities so the trick is to deliver the best offer to the best segment. You can present this in table format. Include any market research findings, if there are any. Geographic: eg: location, population size or climate. Demographic: eg: age, gender, family size, family life cycle or income. Psychographic: eg: social class, lifestyle, motivation or personality. Behavioral: eg: product benefits, the frequency of use or brand loyalty. This chapter presents the realities in your business, your industry and your scope of work, whether it is geographic or sectoral. Here you should look at the factors that affect your consumers’ purchasing power and spending patterns. What is the economic environment that you are operating in (which can be geographic or sectoral)? Is it a growth, recovery or recession? Provide reference on the facts or data you provide. What are the social and demographic trends? What are your consumers’ behaviors? How does your market decide on their spending habits that are related to your business? Are there rising concerns in the society that can affect your business or the industry where you are operating? The technological environment changes rapidly. You need to make sure that you are aware of trends in your industry and other industries could affect your business. New technologies create new markets and can influence your consumers and competitors. What technological advancements are there in the industry you are operating? Who are your closest competitors (it can be geographic, similar product/service offerings, pricing, etc.) What are your competitors doing? What is your advantage over your competitors? 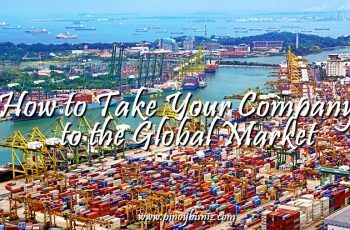 Is the market large enough to support you and your competitors? Provide a table comparing your business/brand to those of your competitor. **Brand Identity is how you want to be perceived by your consumers. Brand positioning is the benefits you want your consumers to think of when they hear about your brand. SWOT stands for Strengths, Weaknesses, Opportunities, Threats. It scans your internal and external settings. This chapter is basically the part where you specify “how to get there.” It provides a roadmap on how you will bring your business or brand to achieving your marketing goals and objectives, which will ultimately lead you to attain your vision. You can describe in 2 to 3 sentences what you are currently doing and what will be the new ideas you will inject to help you towards your goals. (Maxi-Maxi Strategies) SO- Strength/ Opportunity. Question: How would you use your strengths so that you can exploit your opportunities? (Mini-Maxi Strategies) WO- Weakness/Opportunity. Question: How would you overcome your weakness to take advantage of the available opportunities? (Maxi-Mini Strategies) ST- Strenght/Threat. Question: What will you do to take advantage of your strengths to overcome possible threats? (Mini-Mini Strategies) WT-Weakness/Threat. Question: How will you minimize or eliminate your weaknesses to avoid the possible damaged that the threats may bring? what the price says about your product eg: value, quality, and prestige. does the design and/or service deliver what the customer values? the geographic area your product/service will be available in. Think about the people who sell your product or service and are involved in its delivery. Your people strategy is not just about your internal staff, it also covers associates and strategic partners, channel partners and suppliers. How do you utilize them to achieve your goals? Also, include your consumers and clientele. Your process strategy is concerned with the planning, development, implementation, documentation and review of the systems that help you achieve the other aspects of your marketing strategy. If you have the right processes you’ll have the right product, in the right quantity to the right place at the right time. Which areas in your process will you improve on? Assign responsibilities to yourself and staff to make sure your strategy gets implemented. Make sure you set timelines so that everyone knows when action points need to be achieved. You can use the GANTT chart for this. You can show graphs of your sales growth for a specific period of time. You can show your actual sales vis-à-vis your projected sales, whether daily, monthly or yearly, based on the strategies and tactics you will implement above. Provide specific items and the cost you will allocate for each item. Your budget is good for one year. IF there are items that you need to do on a monthly basis, indicate them. You should consider the possible risks to your business and make contingency plans to address them. You will have noted some possible risks under the “weakness” and “threats” sections of your SWOT analysis. Or, they can be the result if strategies or activities do not go as planned. Try to identify all of your risks and work out what you can do to either reduce them or work around them if they occur. I think I will really need help on my market and situational analysis especially that the business I am talking about is still a plan. I believe I need more help and input in formulating my business’ mission and vision it provides meaning to a business not just mere sentences without meaning. The aspect that I need more inputs and help would be Market & Situational Analysis. I need to research and study more about the economic, social, technical & competitive environment of the market to fully understand where the business currently stands. 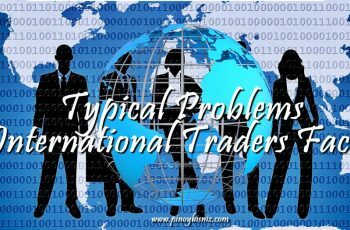 As relatively new here in Bacolod, I have to further study and analyze the behavior of the market. As I have observed, the market has embodied a sense of excitement and intrigue in a new product but after a while reverts back to what they have been accustomed to. This is a challenge for new businesses on how to be able to compete with the leaders in the industry and not just become a fad. Sheer luck and willpower is not enough to make a business thrive. The goal here is to keep the business afloat and self-sustaining so to achieve that we need a carefully thought business plan and strategically laid out which contains every move/ideas to prevent the fall of the business. The part where I think I’m going to have a lot of challenge and may require help in creating the whole marketing plan of my own will probably mostly lies on chapter 3. It happens to be also the most crucial part in all of this because it manly talks about analysis of the whole business environment. This is the real deal. I have to at least come up with something very close to the “real-life” business events. On this part, is where mostly the strategies will be derived from so that being said I simply can’t afford to have any margin of error. Simply put, a medicine for cough will not cure fever. For me the aspect of the Marketing Plan I need more inputs and help is the formulation of my business’ goals like its mission and vision. I believe that it is more important to determine first the purpose why you would like to have that kind of business for it will help you establish a correct and strong foundation that will drive the business at its finest. The aspect that I should need more inputs and help is Finds Ways to Explain your Research. I choose this aspect since it needs more inputs and information to gather in order to explain my research. Research is a broad list of information that you gather and needs to be explained thoroughly. The key to success of my marketing plan is based on my research. I need to have more inputs and help when making a marketing plan for this is the first step,plan is started from scratch. I believe that it should be specific,measurable,achievable,relevant,time bound,evaluated and adjusted.It is a strategy for setting goals that will result in a high probability of success. Creating a plan for a business should entail that you have an idea and extensive understanding of the current situation of your target market. Though the business is existing, the challenge of understanding the market and current situational analysis of the product/brand is at hand. It requires immersion on the industry and its competition to have a greater perspective of how your business would perform on its industry, against competitors, and other considerations. Like what the article said, sharpen your axe to cut down the tree. 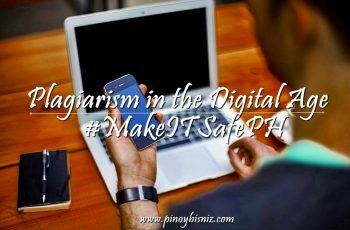 This activity and other personal reading assignment would definitely help sharpen our minds to cut down such confusions. Marketing plan is like a compass, it leads you to the right direction of your business. Planning a business is very important, we need to know on how to run a business and handle problems. 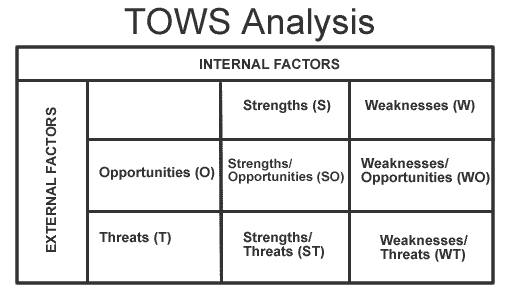 SWOT and TOWS Analysis is one way that can help facilitate and develop the strategies to internal and external anlysis . It helps your business identify your market and set measurable goals,it also important for developing a promotional strategy that aims for growth positive change in the bootm line. I believe I will be needing more help, inputs and guidance about contingency plan and risk management. Thank you! “WORK UNDER PRESSURE” Having a business is not an easy tasks. We have to undergo many works, decisions and problem solving. You need to invest a lot not just money, you must commit yourself to overcome difficulties in any aspects may arise along the way. When the business starts running don’t settle for less always strive to be better. Know your strengths and weaknesses, always come come up with immediate remedy for a strong and lasting relationship with your consumers or clients. Realizing all of these, I must say not all businesses are sure win. We are still the one who handles changes in any form. Putting a business is a gamble it’s up to us how we play our cards. The sad reality of a business that is doing “ok” for a long period of time, in my opinion, is the stagnation part. It will come to a point that you will become complacent with what you earn and not move out of your comfort zone. With new blood running the business and trying to provide a fresh angle, I would want to apply new strategies that will work with the current trend, compete with the market that is growing while using a new brand of approach to increase the efficiency and reach of the business. Marketing Plan aspect that needs more inputs use on market and situational analysis, which we consider economic, social, technical and competitive environment that would give us our effort to identify the SWOT and TOWS, and it really help for the market strategies that would allow us project all the strategy to be used and become successful in such ways. It really need a market research to understand customer and positioning recognition of the business. Marketing Plan should show the improvement of sale and must be effective and actionable that will lead to positive impact. Marketing plan is hard especially if you don’t own your business. Being flexible, how to make the outcome of the plan come into reality, and how to make the plan useful is the thing I need to focus on. Marketing plan can be a preparation or way that is essential for achieving success in the business industry.It will help you in choosing strategies that you should apply to make your business grow.By SWOT analysis you will figure out the strength,weaknesses,opportunities and treats how your business grow and develop.It’s important to make an effective marketing plan to make your business last longer. 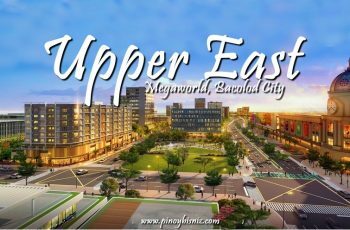 As i read this article, it is indeed a great help to those aspiring soon-to-be businessmen or already owned a business. These marketing plans considerably the most effecient plans to be implemented in business. As the main goal focuses on the success or growth of your business. I would be more focus to learn about the Projects and Sales for it could be tough for me to deal with, since i haven’t had my own business yet. And I personally don’t have experienced yet in handling businness. Therferore, it would be hard to start my business but on the other hand, with your compliance in the said guides and marketing plans would help me out running a business in the future. Moreover, this useful article for marketing plans could absolutely drives my business in the right direction. One of the aspect of the Marketing Plan that I need more Inputs and help is MARKETING STRATEGIES. I really wanted to know how to identify action plans that will help my business grow. As a young entrepreneur, reading all these gives me a wake up call that experience is indeed the best teacher, and one way of enhancing your marketing skills is to work harder in knowing more about your business’ strengths, weaknesses, opportunities and threats by doing a deeper research on all the possibilities so that you’d be prepared enough and can overcome them to avoid business failure. Thank you for this! 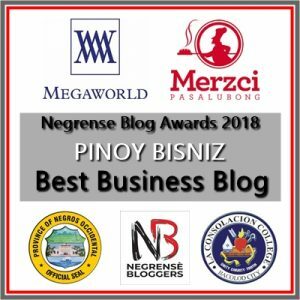 I realized that even though I have been running my business for almost 2 years now I should still continue in working harder to know more about my business’ SWOT. I think Marketing Strategies will consume much of my time for my planned marketing plan. There are a lot of factors that i will need to take into consideration in order for my planned business to get to the point of where I want and plan it to be. I will need insights on what things should I start doing now that I am still schooling in order for me to get myself ready in building my very own water refilling station next year. Marketing strategy is an aspect that we must need to put more focus on in putting up our business. Make sure that you have your own concept and unique style. Some business flopped because strategies were not planned thoroughly. For me, this is the most important aspect of a marketing plan that needs more inputs and help. Not having my own business, I find it hard formulating Marketing Strategies. Maybe citing a kind of business as example would help a lot. Thank you. Not having my own business, I find it hard to think of formulating Marketing Strategies. Maybe citing a kind of business for examples would help a lot. Thank you. This chapter focuses on designing and actioning a marketing mix so that the company can maximize customer value and business value. In this aspect it needs a lot of inputs and analizations because in this chapter you will see the different strategies that will make your business improve the quality of services and products offered. This chapter includes all the strategies formed in TOWS Analysis which are Product strategy, pricing strategy, place strategy, promotion strategy, people strategy and process strategy and the GANTT Chart which includes all the schedules of the business. I think I need more inputs on my product quality and brand . It is difficult to create a new product due to high risk of failure in implementing it. So it is better to have more ideas to create more products. Nowadays engaging into a business is not easy there are lot of consequences need to be consider because your investing money, time & effort. we should have an effective marketing plan in order to survive the competition in the business world. Marketing Strategy is I think I really need more inputs and help towards all aspect of the Marketing Plan. I think, I need more help and inputs to “Marketing Plan”. As this chapter specify “how to get there”. I want to have a clearer picture on how to get our business work for the following reasons. 1. Our business just started this second quarter of 2018. 2. As I am working, I was not “totally” invloved in managing our business. I know that being guided in this part and having a detailed Marketing Plan will help us in managing and having business a success. Rationalize your strategy is the aspect of marketing plan that i need more inputs and help because i want to develop and improve my strategy on how to handle a business by selling a product. Enhancing more knowledge about strategy in business to make a successful business possible. Thank you for the marketing plan overview. Have you helped businesses successfully implement a strategic marketing plan? What a great refresher for me! Its been years since I was in college and sometimes its great to be reminded of the points that are so important! Thank you for sharing! Business planning is really important to those who would like to start and even to those already have stable markets. Preparing yourself in a battle is a really big advantage and will definitely dictate the outcome, more time in brainstorming more chances of winning. For a business to be successful, there should be a deep and wise understanding and preparation. Intelligent planning will surely be the first consideration when we put up a business. And I really believe the idea that business planning is about aiming the possibility of having potential revenue from the market. These would mean that even our business have 5 prospective customers, we are earning more than having 10 of them. These comprehensive guide will surely be very applicable and dominant to open a business. Credits to you sir ñfor another planning power you shared to us. God bless! This tool is what I need in my business. Marketing Plan will help me in choosing what strategy/strategies should I apply to make my business grow. It helps me realize the strengths, weaknesses, opportunities and threats of my business, as well as knowing my competitors and their capabilities. Thank you to this article..
Marketing plan is an integral part in the success of a business. Before starting up a business (big or small) one must consider creating a plan or a thorough study of every aspect that may affect your business. Bigger capital is not a guarantee that your business will be a success, it still boils down to proper and intelligent planing and research. This includes your goals that you envision in the future, you can’t execute your goals without an initial plan. It is best to prepare and ready on what to do whatever things may happen to your choosen endeavor. Planning is very important especially in busuness. Proper planning and coupled with right implementation makes your business a successful one. I definitely agree with this marketing plan, with the SWOT analysis. Proper preparation is essential for achieving success in the business industry. A successful business is all about preparation, consistency and practicing the right concepts and principles. In order a business to survive, we need to make an effective marketing plan. It will make a business grow stronger. 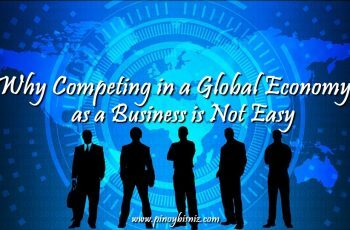 It will also be a good foundation of your business in order to survive competition. In a business you’re investing your time, effort and money. All of us don’t want these time, effort and money to be wasted. That’s why planning and setting up goals can be useful tools in order to have a successful business. This kind of article can be useful for a student like me or any individuals planning to put up a business. It can give ideas what will be the face or goals of our business someday. Marketing plan is an integral part in the success of a business. Before starting up a business (big or small) one must consider creating a plan or a thorough study of every aspect that may affect your business. Bigger capital is not a guarantee that your business will be a success ,it still boils down to proper and intelligent planning and research. This includes your goals that you envision in the future, you can’t execute your goals without an initial plan. Marketing plan is just like world map or a map itself. It will give you the way or it will guide you to the right way to succeed. Planing ahead is just like “early bird catches the worm” but not all plan can be that successful. Many people have done this before and some of them succeeded not because of the plan but because of using the right Marketing plan. In a world full of competitors, do you think your the only one has been using that plan that you have right now? Analyse it first and think all the possibilities before executing the plan. In this article SWOT analysis in which I am familiar with can be the most reliable and let say realistic plan. Gathering information for opportunities , maximizing the strength, reduce or minimize weakness and eliminate threats. Looking and thinking about this analysis can give you already an answers, answers that will generate idea and that idea will lead to be your marketing plan. Nice read! A great introduction on starting up your own business. I like the the way it gives attention to details given the step by step process on doing a marketing plan for a successful business start up. This is very helpful as for someone who has no knowledge on the world of business and how the business is going to work effectively and overtime. This article is your guide to list down how you want your business to work profitably. By the SWOT analysis, truly, it would help determine how your business can grow and develop, analyzing factors such as threats and working on strategies that will help market your business in the best way possible. Know your goals and keep a productive strategy. Remember that every beginning would be difficult but every end result will be worth it. Creating real effective strategies are of great help. We will never achieve positive results in our business if we are unsure of what processes should we follow. Its just a matter of trial and error. Applying SWOT analysis in a marketing plan can help you figure out the positive and negative polarites in a business ,plus knowing your customers personalities should be one factor that we have to consider in running a business. In order for someone who plan to put up any business then they should apply this article content as checklists or direction. I know that it’s not easy at first but it’s worth working for. I’ve been there for a short period of time and it was not fully succeed due to lack of plan or concrete strategy. I have learned so much and ready to make this into reality. I believe that learning continually and experience work hand in hand to have the best outcome. In order for someone who plan to put up any business then they should apply this article content as checklists or direction. I know that it’s not easy at first but it’s worth working for. I’ve been there for a short period of time and it was not fully succeed due to lack of plan or concrete strategy. I have learned so much and ready to make this into reality. A great introduction of a marketing plan. Business has been a complicated matter, but there are fundamentals to consider. Particularly the SWOT Analysis which does not only point out strengths or weaknesses, but can be a great aid to making strategies for your business. Upon reading this guide, I have come to realize that both critical and creative thinking are necessary to obtain your goals. One example is the “my business versus your business” outlook. You compete with another business by studying/observing and at the same time, formulating your own creative way to achieve your goals. In general, the guide teaches us on how to do the right things right the first time. let the business grow and mostly you need to consider the needs of the consumer, where they can purchase the products easily and could not consume most of their time in looking for the best answer, you even need to consider the pro’s and con’s for the speciffic target that you have, having this guide can make you think of the best way for starting a sucessful business. Putting up a business is not easy. It is not just instantly putting into reality all that we think and create in our mind. Putting up a business is a process. There are lots of factors that need to be considered to avoid failure. This article gave me ideas and points that needs to be think about and follow to avoid major loses. It takes a lot of time,effort, determination and bright new ideas to be in the business section. As an individual with no experience in Business, having to read this guide is of big help. And what struck me most is, if you have no clear and absolute goal, you might want to skip the Business World. For having no goal is like walking in circles. There is no point of direction. I have also discovered that putting up a business must be carefully planned out. It will take time, energy, hard work, and much brain power to analyze every detail (small or big) in your business. Having a plan gives you a glimpse of how your future business will become. And this includes studying your future target market, studying the SWOT ( strength, weakness, opportunities and threats) Analysis, which include the internal and external factors. Once you have identified these factors, then it can give you room to make improvements in your strategy. And lastly through this guide, I have learned that a success business is one who knows how to adapt to changes, one who innovates, and is stable. I am hoping that in the future I will be able to apply what I have learned through this guide. If there’s something I can take away from Marketing as my major it’s to make your goal happen. Stop dreaming and strategize. In every business, logic and statistics work together. It’s not the words that make people invest on you but it’s the numbers, not just make-believe numbers, but numbers that comes from proper research and supported with facts. That is what a marketing plan is all about. It’s looking into reality, the actual outcome and situations that will make your business possible. One should look beyond the hopes and dreams but focus on the actual scenarios that arise and devise strategies to make the business successful. Plan it right and plan it SMART (S – specific, M – measurable, A – attainable, R – realistic, T – time-bound). Combined with the SWOT analysis, no wish can’t come true. Make them happen.